Every year Wellness Center officials have purchased new equipment for students to use. This year, eight new pieces of exercise equipment have been brought in to assist students with staying fit and active. There is no definite amount of money the Wellness Center spends on equipment each year. What piece of new equipment gets added depends on what is needed and what people want to see available. Adding new equipment gives students more ways to exercise while building a relationship between them and the Wellness Center. Wellness Center officials also have big plans for adding new equipment in the future. “For the 2018-2019 [school year] we are adding an assisted dip and pull-up machine and a captains chair along with multiple other surprises,” Reay said. Taylor Brintzenhoff, psychology junior and wellness center employee, said she also believes adding new equipment is a benefit for students. “Adding new equipment gives us more of an opportunity to get the students involved in overall health and wellness on campus,” Brintzenhoff said. Frequent Wellness Center visiter, Jordan Walker, business sophomore, said he agrees. 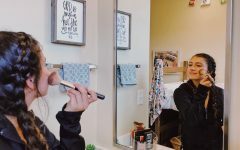 “The constant updating the Wellness Center adds every year definitely helps create new experiences for students and helps keep the gym up to date and exciting,” Walker said. Reay said she is always looking to improve the Wellness Center’s services and facilities. 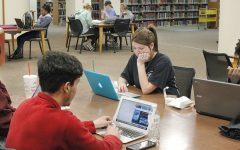 “We are always open to new suggestions from the students, faculty, staff and alumni to help accommodate our students needs,” Reay said.